Crops/Animals raised: soybeans, corn, and cattle. What is the current weather and how has the weather been? : May was hot and dry one inch of rain all May, June was also hot and dry with 1/2 inch of rain all June. July has been hot and dry with 3/10" so far. What is the current status of crops/livestock? : Sold cows on Monday. Big bales of hay are going for $150.00 a bale. Had to replant beans 3 times still only got 3/4 stand. Crop adjuster coming next week to look at corn. What is your outlook for the upcoming weeks? : no rain. 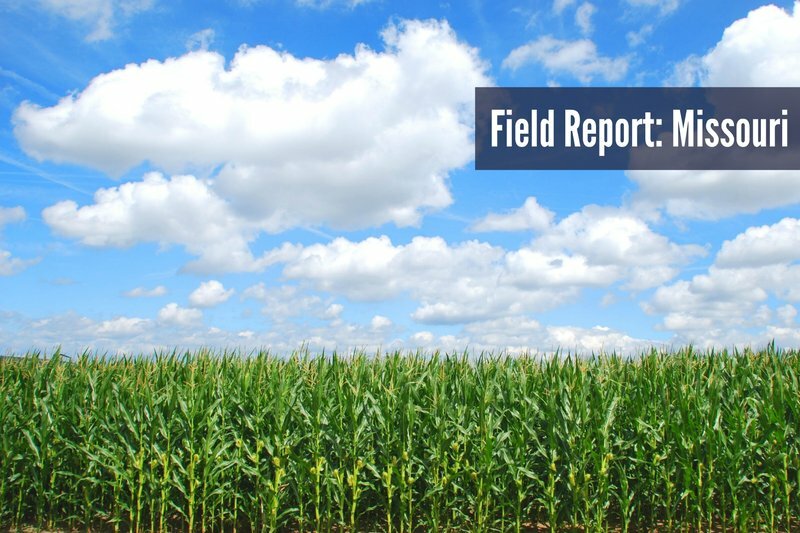 To see conditions across the U.S. fields check out more field reports here.